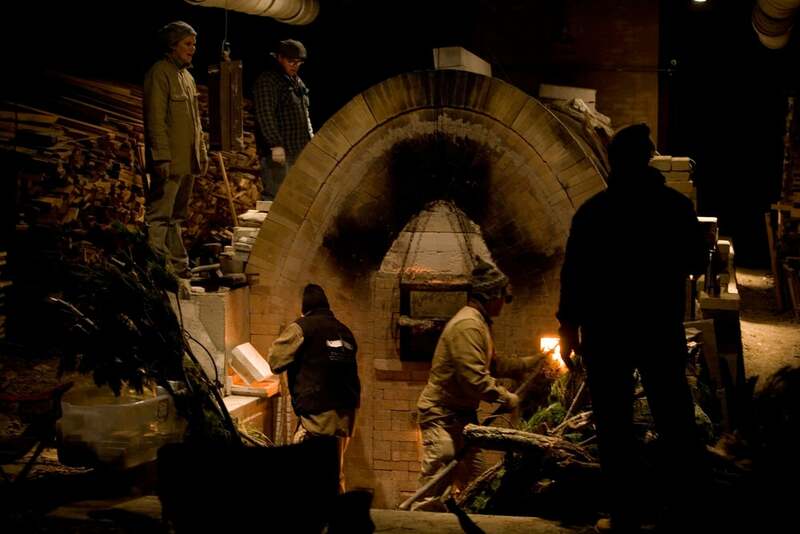 Wood-fired kilns produce a distinct type of pottery. 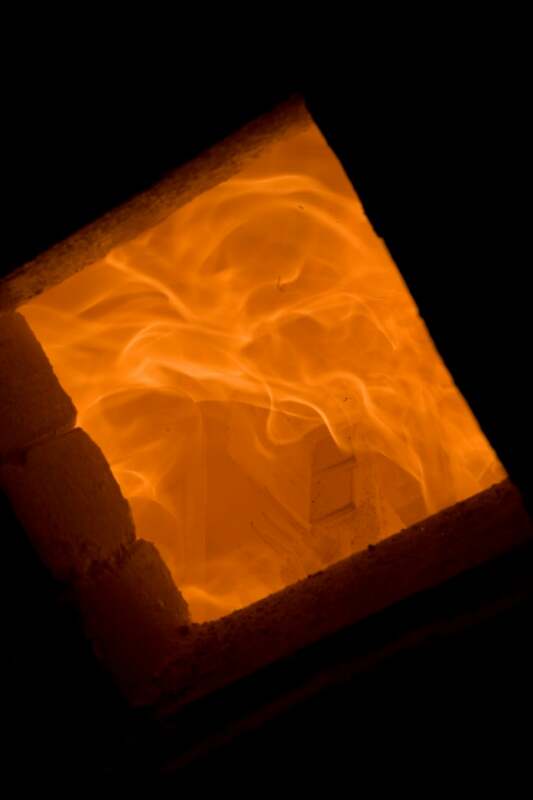 The fire and ash and temperature variations inside a wood kiln produce beautiful surfaces on both glazed and unglazed pots. 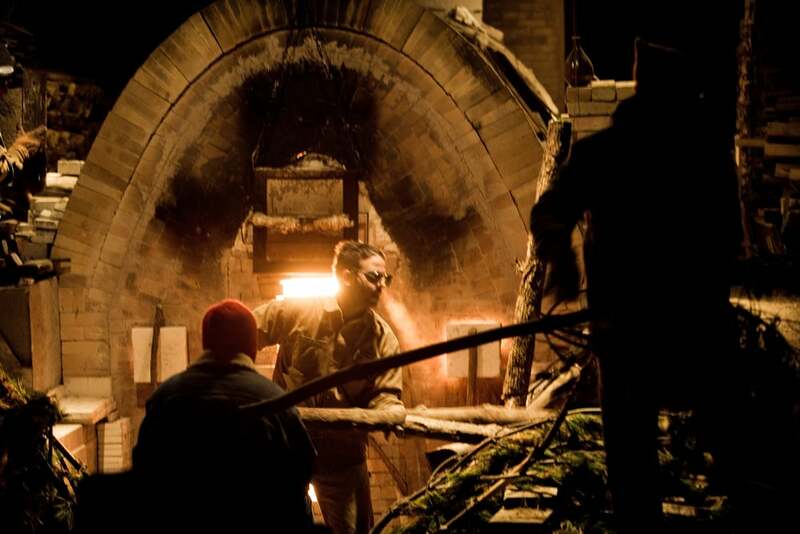 My stepfather David and I began building the wood burning Kiln in early Fall, 2004. It first involved building a pole barn roof to shelter the kiln. Once the roof was up, excavation and pouring a footer and laying a block foundation followed. 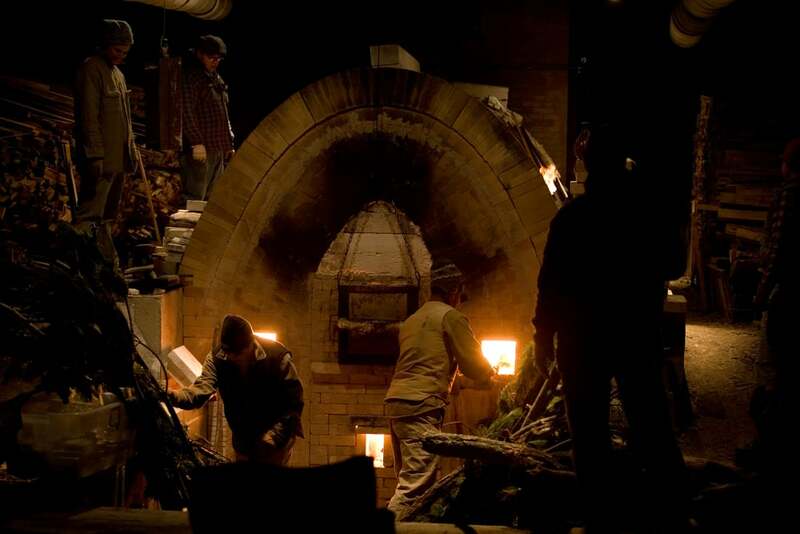 Once the brick walls were laid then we had to layout the curve of the kiln's brick arch. This design then was converted to an 8' long form. With the form in place, we then started laying the brick arch, one section at a time. With the third section completed, we had an arch that was 24' long, leaving 4' of wall to build the brick chimney. 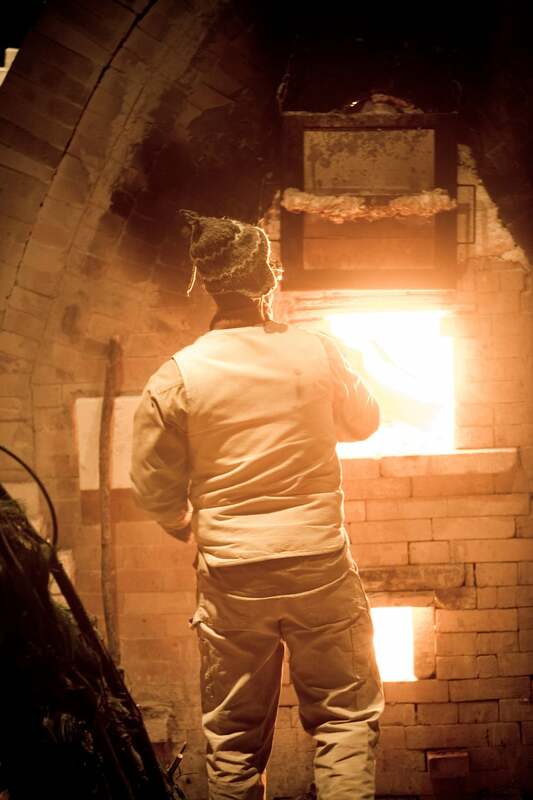 Our kiln is approximately 400 cubic feet, and it takes several months of throwing to fill it. 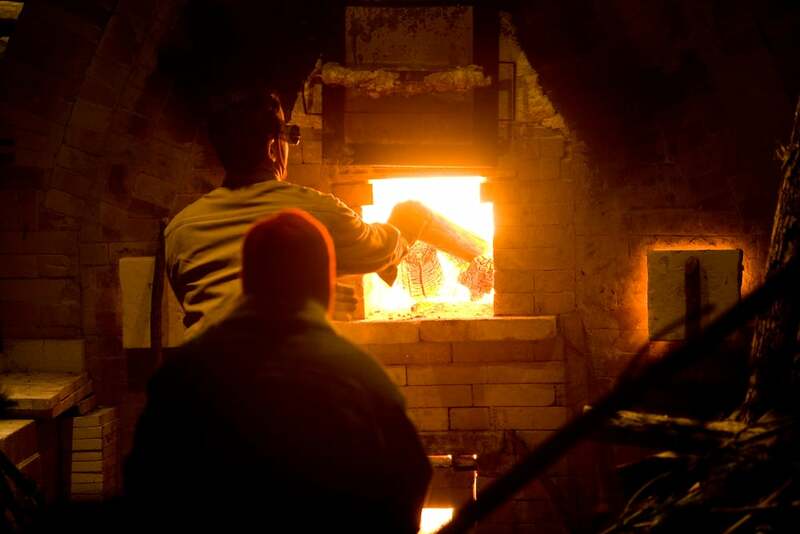 We fire our kiln two to three times a year. A typical firing lasts three to four days, requiring constant attention to the stoking of the flame. The peak temperature reached is around 2400 degrees Fahrenheit ( 1300 degrees Celsius). In every firing we use roughly four cords of wood. 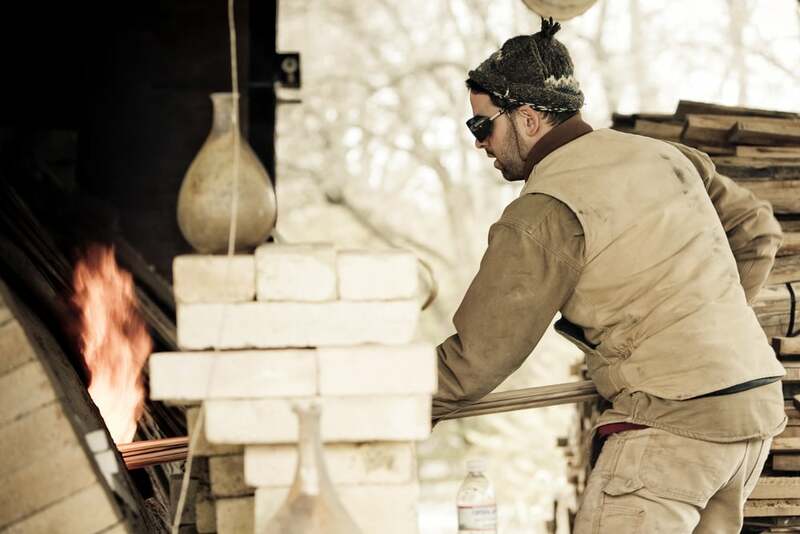 At the end of each firing, we have a "kiln opening" to which the public is invited to see and purchase the new work.